1.1 Want a Samsung Galaxy S8 cover that comes with style and for the right price? Here’s some you can check out to protect that precious glass from shattering when it falls to the floor. 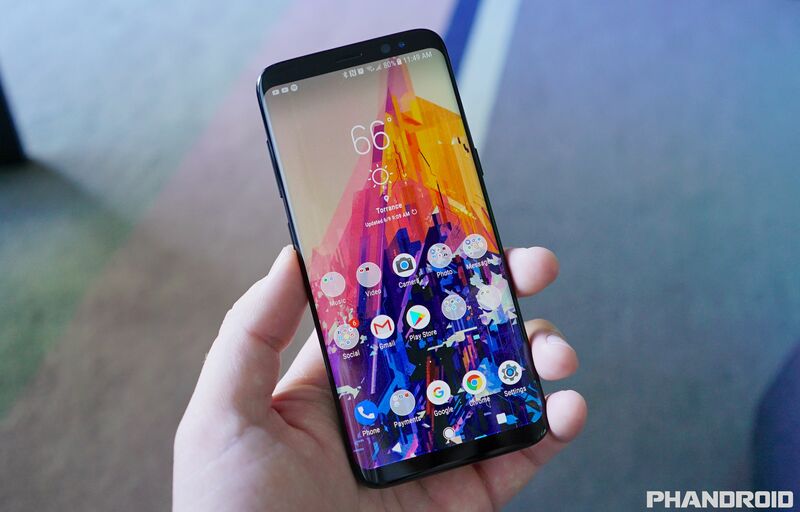 1.2.1 We don’t blame you if the idea of covering up your gorgeous Galaxy S8 design has you shaking your head, but this phone is easily damaged. Skech might have the perfect compromise for you with its Crystal Clear S8 cover. The back is hard polycarbonate, and the frame is a softer material designed to absorb impact shock. There are thin button covers and accurate cut-outs for the ports, camera, and everything else. It’s slim, so you can’t expect rugged drop protection, but it will ward off minor bumps and scratches. It also has an anti-yellowing coating, so there’s no need to worry about UV rays. 1.3.1 Classic, durable, and practical, this genuine leather wallet case from Nomad could be the ideal companion for your Galaxy S8. It has a thin, plastic shell inside that holds your phone firmly in place and it’s wrapped in brown or grey American patina leather. The inside cover sports three neatly stitched card slots and there’s a larger pouch at the back for cash. There are generous openings for access to buttons, ports, camera, and everything else. 1.4.1 Made from beautiful nubuck leather, these folio cases from British accessory brand Snakehive come in a variety of colors well-suited for summer shenanigans. The pastel shades range from mint green and peach, to a lemon, lilac, and honeysuckle. There are two-tone versions available, too. Each case is stunning on the outside, and practical on the inside, with three card slots, a note compartment, and a phone holder that still provides complete access to your device’s buttons and connectors. The magnetic tab keeps the folio closed, and the cover can be flipped around to make a handy stand. The folio case is also available for the Galaxy S8 Plus. 1.5.1 If you love sparkles, then this Galaxy S8 case is for you. Encrusted with real crystals and a metal accent, this eye-catching case comes in champagne, rose gold, or lace. You don’t have to sacrifice functionality for style, either, because this is a dual-layer case that meets military drop test standards. A few buyers have reported problems with lost crystals, but given it comes with a lifetime warranty, you can contact Case-Mate for a replacement if you run into any issues. 1.6.1 The Galaxy S8 is such a sleek beauty that you might recoil at the thought of slapping a chunky, plastic case on it. That’s why Peel designed these svelte, minimalist shells — to provide a thin, 0.35-millimeter layer of protection without spoiling the feel or look of the phone. There are no loud logos here and all your phone’s buttons, ports, and other features, including the curved edges, are easily accessible. The Samsung logo shines through subtly on the gray and silver versions, or you can opt for a matte-black configuration. Want a Samsung Galaxy S8 cover that comes with style and for the right price? Here’s some you can check out to protect that precious glass from shattering when it falls to the floor. We don’t blame you if the idea of covering up your gorgeous Galaxy S8 design has you shaking your head, but this phone is easily damaged. Skech might have the perfect compromise for you with its Crystal Clear S8 cover. The back is hard polycarbonate, and the frame is a softer material designed to absorb impact shock. There are thin button covers and accurate cut-outs for the ports, camera, and everything else. It’s slim, so you can’t expect rugged drop protection, but it will ward off minor bumps and scratches. It also has an anti-yellowing coating, so there’s no need to worry about UV rays. Classic, durable, and practical, this genuine leather wallet case from Nomad could be the ideal companion for your Galaxy S8. It has a thin, plastic shell inside that holds your phone firmly in place and it’s wrapped in brown or grey American patina leather. The inside cover sports three neatly stitched card slots and there’s a larger pouch at the back for cash. There are generous openings for access to buttons, ports, camera, and everything else. Made from beautiful nubuck leather, these folio cases from British accessory brand Snakehive come in a variety of colors well-suited for summer shenanigans. The pastel shades range from mint green and peach, to a lemon, lilac, and honeysuckle. There are two-tone versions available, too. Each case is stunning on the outside, and practical on the inside, with three card slots, a note compartment, and a phone holder that still provides complete access to your device’s buttons and connectors. The magnetic tab keeps the folio closed, and the cover can be flipped around to make a handy stand. The folio case is also available for the Galaxy S8 Plus. If you love sparkles, then this Galaxy S8 case is for you. Encrusted with real crystals and a metal accent, this eye-catching case comes in champagne, rose gold, or lace. You don’t have to sacrifice functionality for style, either, because this is a dual-layer case that meets military drop test standards. A few buyers have reported problems with lost crystals, but given it comes with a lifetime warranty, you can contact Case-Mate for a replacement if you run into any issues. The Galaxy S8 is such a sleek beauty that you might recoil at the thought of slapping a chunky, plastic case on it. That’s why Peel designed these svelte, minimalist shells — to provide a thin, 0.35-millimeter layer of protection without spoiling the feel or look of the phone. There are no loud logos here and all your phone’s buttons, ports, and other features, including the curved edges, are easily accessible. The Samsung logo shines through subtly on the gray and silver versions, or you can opt for a matte-black configuration.